Here are a couple of conversions that should help you cook the recipes. 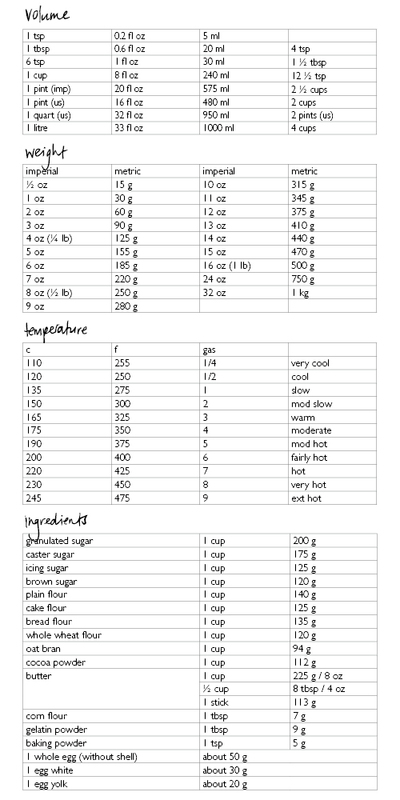 I've also included some info about specific ingredients and their measurements. I have to credit a couple of places for this information. First is the Kakulas Sisters in Fremantle who have an awesome book mark style conversion reference, and Happy Home Baking for the ingredients list.